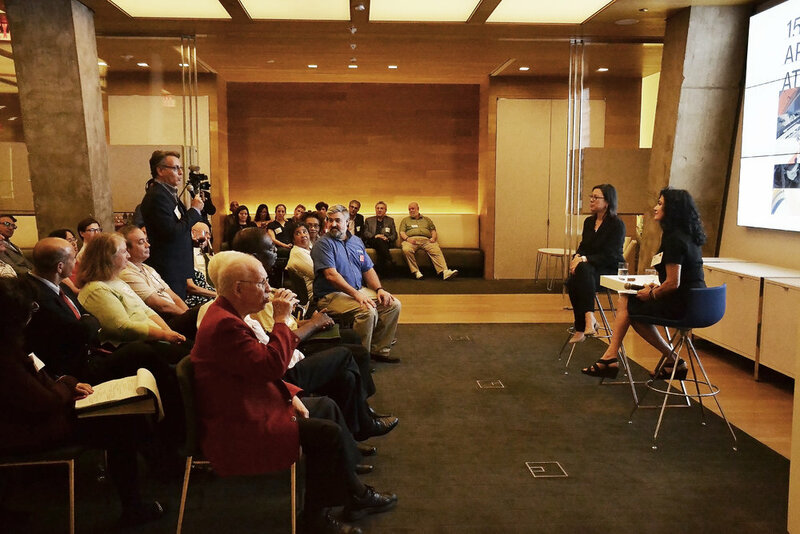 On Thursday October 4, 2018, the MIT Club of Washington DC and MITArchA (the MIT Architecture Alumni Affinity Group) joined forces to celebrate the 150th anniversary of the Architecture at MIT. 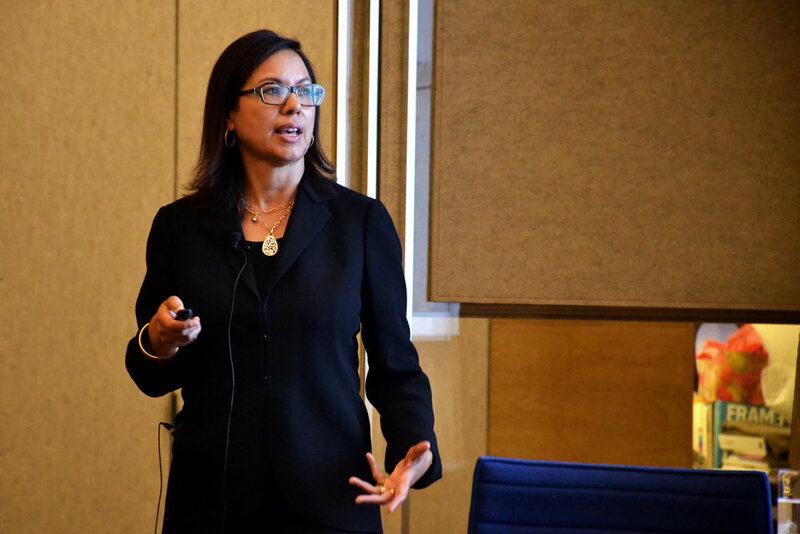 Mina Marefat D.Phil '88, Vice President of Communications for MITArchA and First Vice President of the MIT Club of Washington DC organized the event, held at the head office of Gensler, thanks to the generosity of Diane Hoskins FAIA ’79. Jacob Kain M.Arch ’00, President of MITArchA, kicked off the event with a brief introduction. He spoke briefly about MITArchA’s mission and history and encouraged attendees to engage with the Department and the alumni community. Mina Marefat then took the stage. She thanked alumni for attending, spoke briefly about the history of the Department and its alumni, and introduced Diane Hoskins ’79, the host of the event and Co-CEO of Gensler. Ms. Hoskins gave a presentation about her life and career. She shared some insights about her time at MIT, explaining how it set the stage for her professional life, illustrating her points with personal anecdotes. Mina Marefat engaged Diane Hoskins in an animated conversation that kept the alumni in attendance engaged and interested. After the conversation, alumni in attendance asked insightful and questions regarding a variety of topics. The event continued until well into the evening.